Gardner Sign, Inc: Vehicle Wraps & Graphics, Signs, Decals, Screen Printing & Embroidery and more in Salisbury, MD and surrounding areas! There are people who are interested in signs or graphics, but they don’t take action because they don’t know where to begin. This is where we come in. We are your one-stop, full-service Salisbury, MD resource for graphics, apparel decorations, and signage. 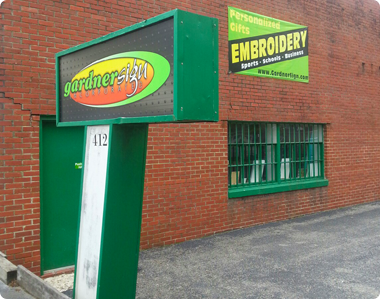 Gardner Sign, Inc. is your reliable local resource for top quality graphics, apparel decorating, and signs of all kinds. When you develop a visual identity that people get used to seeing, it sets you apart from your competition. 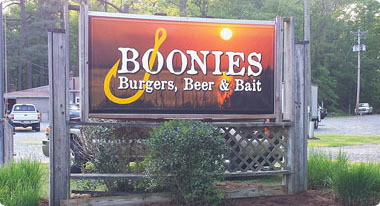 Some forms of advertising can be expensive, but we can help you get the word out in many different cost effective ways. The graphics, signs, branded apparel, and decals that we design for our clients consistently yield measurable results. We utilize advanced, state-of-the-art equipment to design and produce stunning, high definition signs and graphic images that simply cannot be ignored. Our company can help you create a comprehensive business branding strategy, but we can also be engaged to create signs or graphics for any purpose. We have done work for sports teams, fundraising groups, schools, and other noncommercial entities. No graphic or sign job is too big or too small for us, and we value all of our customers equally. We are a local Salisbury, Maryland company, so we have deep roots in the community. When you work with Gardner Sign, you will get sincere, friendly service every step of the way. For Vehicle Wraps & Graphics, Signs, Decals and more, contact Gardner Sign, Inc today!